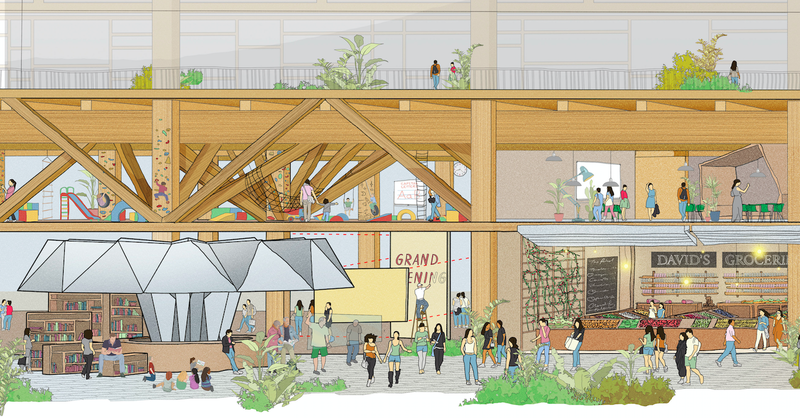 Editor’s Note: Sidewalk Labs has been engaged in an extensive public consultation plan as part of its Sidewalk Toronto project. The newly formed Sidewalk Labs Toronto Advisory Council is yet another opportunity to learn from a broad range of Toronto-based individuals and organizations across sectors. You can learn more about the council here. Thank you, so much, for joining us today and for being a part of our Advisory Council. This is an incredible group of people and it is great to be able to talk about this project with you. And welcome to 307, our office and innovation space. Since 307 opened, nearly 10,000 people have visited this space and had a chance to see prototypes and explorations like this dynamic street we’re all sitting on. One thing we have learned: kids really like changing traffic patterns with an iPad. The group assembled here today represents the academic, business, civic, and cultural leadership of this city, which has become my second home. I am grateful for your time, your generosity of spirit, and your willingness to be a part of what I believe will be a game-changing project for Toronto and for all cities wrestling with the challenges of growth. Sidewalk Toronto recognizes that this land we now call Toronto has been the site of human activity for over 15,000 years; it is the traditional territory of the Anishnaabe, the Haudenosaunee, the Wendat, and most recently the Mississaugas of New Credit First Nation. This land is the subject of the Dish With One Spoon treaty, which asks us to care for and share peaceably in the resources around the Great Lakes. We are mindful of a history of broken treaties, and of the urgent need to work continuously towards reconciliation, and we are grateful for the opportunity to live and work this land. Today is a fortuitous day for this gathering. It has been exactly one year to the day since we announced Sidewalk Toronto, our joint project with Waterfront Toronto, side by side with Prime Minister Trudeau and Mayor Tory, at Corus Quay. I thought I knew a lot about Toronto then, but we’ve learned so much and met so many people — all of which has reaffirmed our decision do this here. Plus, marijuana is legal now! By now, I suspect most of you have heard something about Sidewalk Toronto. Maybe just a little. And so I’m only going to briefly cover the background of the project. Instead, I’d like to use our time today to flesh out the contours of how an innovative public-private partnership might be structured, what Sidewalk Labs’ role will look like in that context, and how all this can lead to the positive outcomes that Waterfront Toronto, the city, and so many of us see as vital to the future not just of Toronto but of all cities. This will all be part of the Master Innovation and Development Plan we’re developing, for Waterfront Toronto and all levels of government to evaluate, with a draft planned for release early next year. I’ll also spend a few minutes on the subject of how we intend to set a new global standard for data privacy and governance in this project. I’m going to try and do all of this in 30 minutes. And then, I’m going to ask you a number of questions and listen carefully. Lunch will be served — so please eat while I talk. I will not take offense at all! So, briefly — how did we get here? Toronto, like a lot of successful global cities, is a victim of its own success. There is a chasm growing wider and wider between Toronto’s deep commitment to openness and inclusion and the city’s capacity to actually be open, inclusive, and prosperous for all. Rents and homes are becoming unaffordable for too many people — with home prices more than doubling since 2006. Commute times and traffic rival cities like Los Angeles — and are only getting worse. The combination of the growing lack of affordability and mobility is denying too many access to opportunity. What is clear here, and in so many cities, is that the same old approaches, and incremental improvements will fail to meet the challenges of urban growth. Sidewalk Labs was founded to deliver dramatic improvements in urban life — on the belief that tackling these problems and making our cities more livable is possible with an emerging set of digital tools that can be combined with forward-thinking urban design. To take but one example: autonomous vehicles. Autonomous vehicles have enormous potential, as shared vehicles, to dramatically reduce traffic congestion as well as improve traffic safety. That’s a big deal. But what’s a bigger deal is what would happen if you could reconsider the street grid in tandem with the autonomous vehicle revolution that will be here before we know it. You could eliminate the 30 percent of street space currently devoted to parking — since the shared autonomous vehicles would rarely need to park — and devote it to pedestrians and cyclists, new parks, and new housing. The result would be a fundamentally more livable, healthier, and more affordable neighborhood. That’s just one example, of many that we are working on, of the power of combining digital and physical innovation. We had spent significant time searching for a place to bring ideas like this to life, when Waterfront Toronto issued an RFP seeking an “innovation and funding partner” to help the agency create a new neighborhood on the eastern waterfront, called Quayside, with the potential to scale the ideas developed there. Waterfront Toronto was doing something government agencies so rarely do — taking risk in pursuit of something bigger. Instead of more of the same, they wanted to create a plan, with innovation at its core, that achieved new levels of affordability, sustainability, inclusion, and economic opportunity. It was to be a plan that took a far broader view of what the bottom line really should be when new communities are developed in Toronto in this day and age. This was a perfect match — and Toronto, both because of what makes it great and because of the challenges it is grappling with, was the perfect city. And so, we did not seek to start a bake-off between urban centers around the world. Instead, we saw the opportunity in Toronto, participated in Waterfront Toronto’s RFP process, and were honored to be selected. Now, amidst the excitement and the fanfare, there was, and continues to be, no small amount of confusion about how this all will work — how we will go from a planning partnership, which is what we are in now, to building a new neighborhood. What, exactly, is Sidewalk Labs’ role in all of this? Answering this question has been a big part of the planning process we’ve been engaged in with Waterfront Toronto, and I’d like to share with you the framework of what you’ll see in our plan. The central idea is that our role is to be an essential catalyst — enabling the creation, not otherwise possible, of a new neighborhood that achieves remarkable quality-of-life improvements for its residents, as well as those who work and visit there, through innovative approaches to everything from housing construction, to energy use, to transportation — showing how to solve real urban problems not just here in Toronto but around the world. An essential catalyst. This is really what Waterfront Toronto had in mind at the get-go: that a catalyzing force was necessary to break a pattern of increasingly unaffordable, unsustainable, less livable, less connected communities. Not one who controls a closed system, but rather who creates an open system which others build out. We may be planning the neighborhood of the future, but Jane’s wisdom is timeless. We know that cities grow best when they grow organically. We are not seeking to be a master developer, or to buy up all the land. Our job is to catalyze a virtuous cycle in which this neighborhood is built by many, over time. So, what does that mean in real terms, in terms of Sidewalk’s role here? First, it means that with the learnings and feedback from extensive public engagement, we take the pen on a plan. We are in the planning process now, and if the plan that we present in a few months is as exciting to the people of Toronto as we believe it will be, we expect to spend much of next year working with government on a set of agreements to put the framework and the conditions in place for the plan to be realized. The Master Innovation and Development Plan will be an extraordinary document, covering detailed land use and design proposals, a comprehensive set of innovation initiatives, economic impact analyses, and detailed financial models that will transparently underpin the framework of a proposed transaction with the public sector. Let me be clear: Nothing has been promised to us. The development of this plan, and the $50 million cost attached, is entirely at our own risk — a risk we are taking because we think this is important work. When we are finished with the plan, it must be approved by Waterfront Toronto and then, in various contexts, by the relevant governments. The plan we are working on contemplates Sidewalk Labs investing in four areas to begin that virtuous cycle I spoke of: the infrastructure necessary to build the community; innovation necessary to realize pieces of the vision but that would otherwise be unavailable on the market; the creation of a global hub of urban innovation to spark jobs, growth, and new industries; and only the amount of real estate development necessary to prove to the private market that our vision is worth investing in. Let me take each of these in turn — infrastructure, building design and technology, economic development and opportunity, and real estate development — and discuss how Sidewalk Labs expects to play the role of essential catalyst. Infrastructure is the first critical piece. Efforts to unlock the value of this part of the city go back more than a hundred years. Today, beyond the important film district, the eastern waterfront is largely a storage ground, home to a few remaining industrial structures that testify to plans made and unfulfilled. A century after it was dredged — despite the extraordinary investment by all three levels of government in flood mitigation, and years of work on the Port Lands Planning Framework — there is no realistic current path to build out the infrastructure necessary to realize the potential of the eastern waterfront. We need all of the basics: roads, power, energy, water, waste, and especially transit in the form of an unfunded LRT extension. But more than that, we believe that the disappointment of the early 20th century creates an unusual opportunity in the early 21st century. Today, there are highly innovative approaches to infrastructure — unavailable 10 years ago, let alone 100 — that can change the very nature of how a neighborhood functions. And so, the first role of the essential catalyst as Quayside is to develop and deliver the infrastructure on which this place, and cities of the future around the world, will run. We envision a fundamentally different kind of street grid, which prioritizes pedestrians and shared vehicles. Those same streets will be able to redirect traffic in real time, help pedestrians and cyclists find their way, melt snow, and be repaired without being dug up. We envision energy infrastructure, including an advanced electrical grid and thermal heating and cooling systems, that if brought to scale could make this the first climate-positive community in North America. We envision next-generation stormwater management, tunnels for waste removal, and utility channels that make a neighborhood far more future-proof. And we also envision providing the foundational pieces of digital infrastructure, all based on open standards, to create the conditions that will make this a thriving ecosystem of innovation by many players. Specifically, we anticipate providing ubiquitous connectivity and Wi-Fi, and mounts and power to make it easy for others to plug in. All of this requires substantial investment. As essential catalyst, we can help deliver that investment. There is no significant marketplace for funding next-generation infrastructure. And so, we have already taken steps to create a vehicle, backed by Alphabet and eventually including Canadian partners, to do so where traditional players will not. The second critical piece of being an essential catalyst is developing technologies that integrate into forward-thinking design to enable direct quality-of-life improvements for Torontonians. For example, we envision active weather-mitigation tools that can be deployed based on real-time hyperlocal measurements of rain and wind. New traffic and curb management technology to make more efficient use of streets, to reduce congestion and increase safety. Next-generation building management technology that allows different systems by different vendors to talk to each other, and uses artificial intelligence to optimize clean energy consumption. We are working on a digital planning tool called “generative design” that will enable us — and the public and policymakers — to evaluate trade-offs between density, open space, mixes of uses, affordability, and building types. And we are collaborating with nonprofit partners on a set of innovations around social infrastructure, using technology to improve the delivery of human and social services and unlock opportunity for those we serve to make this a truly complete community. In every case, the fact that Sidewalk Labs is committing to deliver these technologies — in many cases, through or with partners, many of whom, we hope, will be Canadian startups — does not preclude others from deploying technology that builds on, competes with, or replaces them. Our commitment is for every piece of technology we develop to be based on open standards. Some of these are ideas with enormous potential that the marketplace hasn’t delivered, either because they are too capital intensive, the R&D time horizon is too long, or the customer market is unclear. The beauty of being an Alphabet company — for-profit, but mission-driven — is that we are uniquely suited to overcome those obstacles and build critical pieces of the urban technology puzzle that no one else can or will. Let me give you one example of what this could mean. We have spent a great deal of time exploring technological innovations in building construction, particularly the use of mass timber to replace steel and concrete. Interestingly, it is modern technology that creates the possibility of using a very old building material — wood — for lower-cost, more sustainable housing construction — which would be, at least, equally safe. And so our plan will likely call for the extensive use of tall timber construction — because we think doing so will help make Quayside more affordable and environmentally sustainable, and because we believe that it represents an opportunity to transform emerging high-strength timber technologies from niche products into mass-produced, cost-effective building solutions. Our job, as catalyst, will be to take on the risk at Quayside to show that tall timber can work — technically and economically — on a much bigger scale, and then get others to join in and make tall timber a staple of building construction in Toronto, fueling a local industry. That won’t just mean new jobs created to build Sidewalk Toronto, but new jobs created in Ontario as part of a new, lasting industry. Home to the largest sustainable forests in the world and leading tall timber companies already making these products, Canada has a chance to be a global leader in what could be a major piece of the future of urban building. We have already had conversations with more than 150 people across the supply chain to figure out what needs to happen to make that a reality. Part of the answer is an up-front commitment that the demand for timber products will be there — and that is the role, as a catalyst, we can play. This gets at the nexus of innovation and economic opportunity. Because the third piece of being an essential catalyst is to build on the explosion of the tech sector here to spark economic growth and create jobs and new industries in Toronto, Ontario, and Canada. We aim to make Toronto the global hub for urban innovation. There will be two key anchors. The first will be Google’s Canadian headquarters, which we will propose to move to the waterfront. We believe, and will propose, that this will become the anchor of a new cluster of jobs in a fast-growing sector for the city. The second will be a new urban innovation institute, which in partnership with great Toronto institutions will draw innovators from around the world to the living laboratory in which it will be situated. We believe that, with these anchors in place, the foundation of innovative infrastructure, design, and technology — all based on open standards — will make this the place where entrepreneurs and innovators from around the world will come to explore ideas to improve the urban environment. Together, they will create a thriving hive of economic activity. We are still modeling the total economic impact of our plans, but, at scale, we expect that we will create tens of thousands of jobs and billions in new investment and economic development for Toronto, for Ontario, and for Canada. We will have more to say on this in detail later this fall. The final piece of being an essential catalyst may have us participate in some, but not all, of real estate development involved in the project. To create this new community will require substantial development on parcels of land that have laid fallow for decades. We can either do the same old mix of condos on top of retail, which won’t solve anything, or we can do something different. And consistent with the original, goals-based approach that Waterfront Toronto took with its RFP, the plan we are developing envisions buildings that reflect the values of inclusion, affordability, sustainability, and vibrancy that is Toronto at its best. Not just market-rate condos — but a wide mix of purpose-built rentals, rent-geared-to-income affordable housing, and housing targeted at middle-income households that have been left out of the housing affordability discussion. Housing for the entire income spectrum. Also, these will not be single-use buildings, but highly adaptable buildings that can have startups next to senior centers. Ideally, this vision would be executed by others, creating buildings and operating within a framework articulated in the plan we develop with Waterfront Toronto. 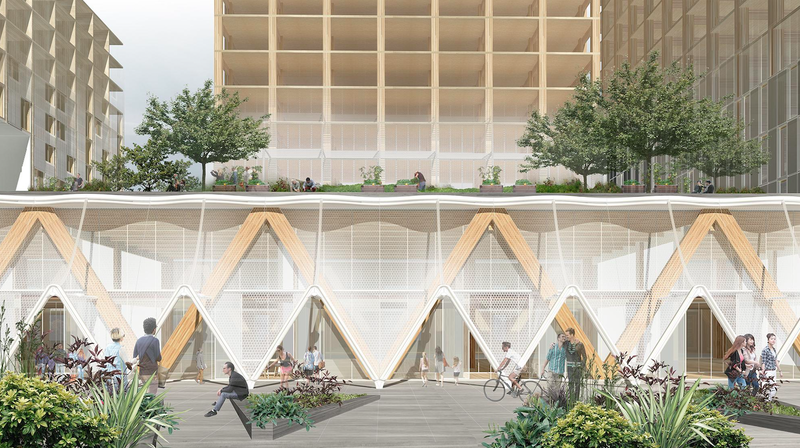 But we recognize that in the early phases of the project, there will be skepticism about the feasibility of building the first wood buildings to exceed 20 stories, or incorporating new standards of energy sustainability, or some of the other innovations we propose. We are prepared to take those risks and prove to the development community that the economics work for them. We will only develop as much as is necessary to make the private market work. We have worked hard over the last year to build strong bonds with those who have built this city, and we look forward to working together, as partners, to create a thriving new community, help alleviate the crisis of affordability facing Toronto, and draw the world’s attention to what we believe will be wildly successful building innovation happening on the eastern waterfront. I hope that gives you a sense both of our vision for the project and how we, as a company, fit into the vision. Now, I have talked about our role, but what about our business model? While our main objective is to catalyze the building of a place that shows how it is possible to produce new standards of affordability, mobility, and social and economic opportunity, we are a company and have to earn a return on the capital we are investing. Of course, none of this is final, but we see our business model as aligning with this essential catalyst role. First, well, we are not making any money putting together a plan. But that’s okay — we took this risk because we believe in the opportunity. If we do ultimately move forward with implementation, we would seek to account for the costs in the overall economics of the deal. We talked about infrastructure investment. As I mentioned, we have already made strides to create a separate vehicle which could finance the infrastructure — energy and water systems, freight delivery, utility channels, and more. We expect to make a reasonable return from financing this infrastructure. We also discussed some of the new technologies that we would hope to deploy. The costs of research and development may or may not be recouped here, but we would expect to sell into other markets. And we do believe the upside that is created by technology products that would not have come to be if it weren’t for the opportunity we are given here should be shared fairly with our public partners. And we talked about some limited real estate development, which would generate a return like other development projects. As a general principle, we believe that when a partnership between the public sector and a private company leads to something profitable, both parties should benefit. We would expect to share in the uptick in land value that will accrue as a result of the catalytic role we are playing. We are committed to working with Waterfront Toronto and other public stakeholders on a transparent agreement, fair to all parties, that addresses how to share in the value that what we do creates. All of this, though, is in service of the mission of improving urban quality of life. That — not any particular business model — is why we are here. Finally, I want to briefly speak about data and privacy. With a sister-company of Google talking about building a community driven in large part by technology, asking questions about how data will be handled isn’t just reasonable, it’s critical. But we are taking a completely different approach to data than you might expect. We have been hard at work, doing a lot of listening over many months, exploring what a path-breaking approach to data governance might look like. The concerns we have heard focus on the collection and use of data in public space, what we call “Urban Data.” Urban data is a fact of urban life today, and can be used to improve the ways cities run. But it also raises real questions about privacy, security, and ownership — since an argument can be made that Urban Data is a public asset. These aren’t issues that are raised for the first time by this project — but this project presents a unique opportunity to innovate on policy and solutions. And so, on Monday, we sent to Waterfront Toronto’s Digital Strategy Advisory Panel a set of ideas about how we might approach data governance. First, that information collected from the physical environment is a public asset. Second, that an independent authority needs to look out for the public interest when it comes to that information. Third, that Sidewalk Labs should get no special treatment, and that a meaningful and durable policy requires a real set of rules, applied equally to everyone. And, finally, that all technology involved in the project should be based on open standards — so anyone can connect or compete. One critical solution we propose — and the one that we hope will give Torontonians confidence — is the establishment of a Civic Data Trust: an independent body with authority over all collection and use of Urban Data within the project geography, and the responsibility to make Urban Data freely and publicly available as a default matter. We are excited to present our ideas to Waterfront’s Digital Advisory Panel tomorrow. I should be clear that while we believe what we’ve laid out on data governance has powerful potential — and may in fact be unprecedented in its reach — right now, we are seeking simply to advance a conversation that requires consideration and decision-making by an array of public stakeholders and policy makers. We hope to make a meaningful contribution to that conversation, and we are glad to be a part of it. I’m almost at the end of my time, and you’re almost at the end of your lunch, so let me wrap up. I will close by saying that while Toronto may have the same challenges as cities like New York, San Francisco, and London, Toronto has a unique opportunity, on the eastern waterfront, to consider bold solutions. Since 2006, housing prices have doubled, far outpacing wages. Putting up more glass and steel condos will not address the affordability crisis. Building innovation that makes long-term affordability economically feasible at scale is what can change the game. Laying down new roads and more parking won’t do anything to alleviate the city’s congestion problem. A fundamentally new approach to transportation — one that that prizes public transit, prioritizes pedestrians, and puts autonomous mobility to work for safer, less congested streets — that is what can bend the curve. And a traditional residential neighborhood will come nowhere close to realizing the potential for economic development and opportunity in what is truly Toronto’s final frontier. But the creation of a new global center of urban innovation is something that will give a serious boost to Toronto’s economic fortunes — and its people. I must tell you that there are times when the prejudgment of what we will propose — and assumptions of ill intent — have taken me by surprise. But I can tell you there is nothing more behind the curtain than what I have shared with you today. Our company was formed to bring an ambitious vision to life. We want to do it in Toronto. That may seem unbelievable, but it is the very true and proud story of Sidewalk Labs, in less than 20 words. In this wonderful city, we have asked for nothing more than the opportunity to make a plan. We are working incredibly hard to sort through a truly massive amount of complexity, and sharing our progress with Torontonians as we go. The next few months will be critical. We will be sharing our vision with the public and getting feedback as our ideas come into focus, all leading up to the release of a draft plan early next year. We need the thought leaders of this city, many of whom are in this room, to push us, challenge us, and — yes — lend your voices in support. Because, in the end, it is you — the city of Toronto … its leaders … its people … its academic and cultural institutions … its business and real estate community — not Sidewalk Labs, that will make this project a success. Where technologists and urbanists discuss the future of cities.